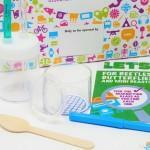 Each activity kit comes with a booklet that includes instructions, fun facts and extended activities. 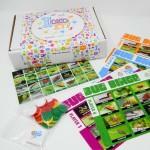 Kits are personalised with your child’s name and arrive in a beautifully branded I DID IT! Box. I DID IT! kits also make for a perfect gift and provide the perfect opportunity for some one-to-one time with your child and time away from screens. Be the first person to tell us what you think about I DID IT! Little Box Big Discovery and you'll save £2.50 on your next purchase!